You can simply define sunglasses as glasses that protect your eyes from the sun. However, nowadays sunglasses are looked to with more consideration. 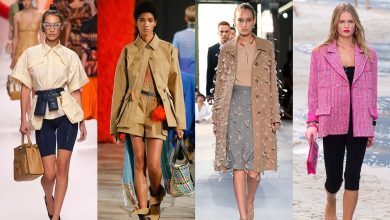 Since big brands start making sunglasses the concept of sunglasses changed from just a thing to protect the eyes from ultraviolet sun rays that can be very harmful, to a piece of jewelry that is necessary to complete your look. Now, with the variety of sunglasses shapes and brands, buying sunglasses became a hard mission. 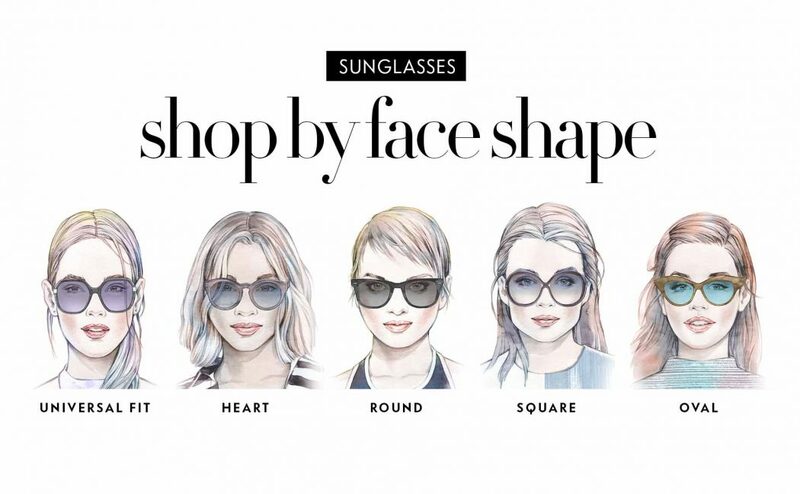 First, you need to know the shape of your face to determine which shape of sunglasses suit you. Then if you knew what shape your face is, you will still need to know which sunglasses are good for you. Thus, in the following lines, you will find different face shapes and the sunglasses frames that look perfect on them. 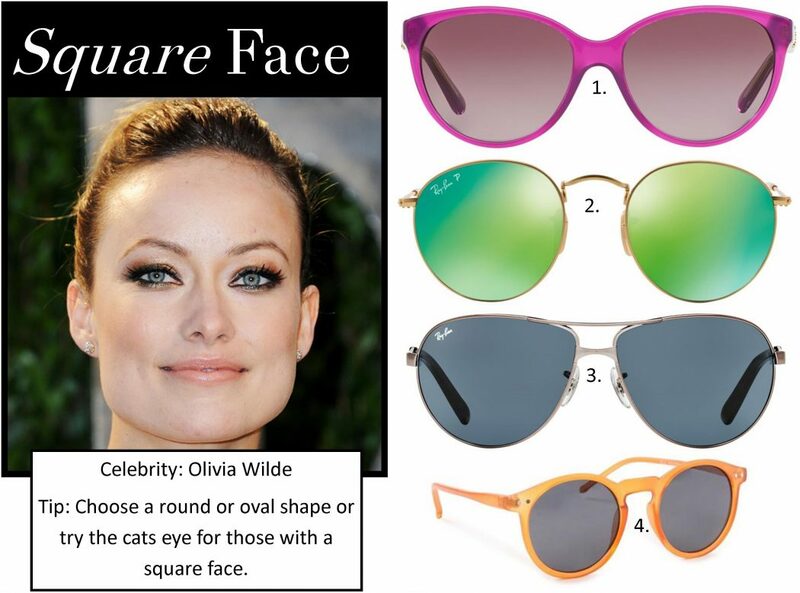 If you have a square face shape, then the best sunglasses frames for you are the oval ones. Because frames that are narrow in width will make a square face look longer and soften the angles. Frames of oval and round styles concentrate the focus on the eyes and lengthen the nose. 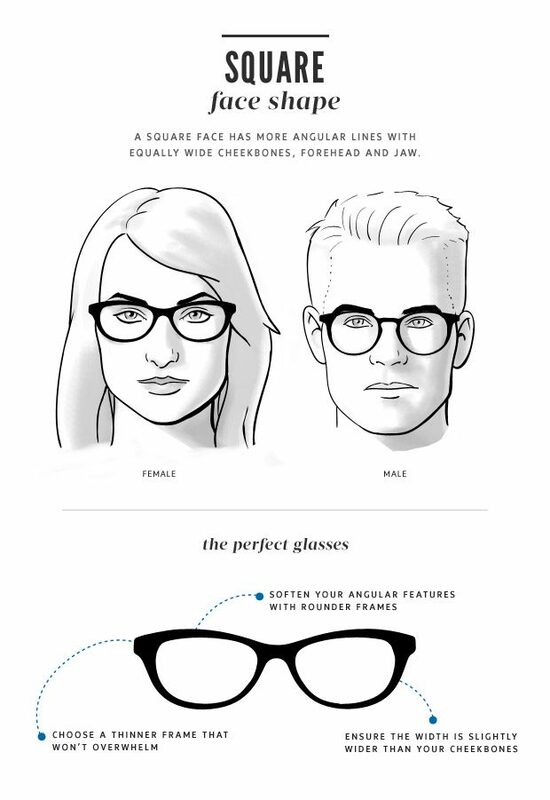 On the contrary, you have to avoid square framed styles as it will make an opposite effect and it will make your face look even wider. 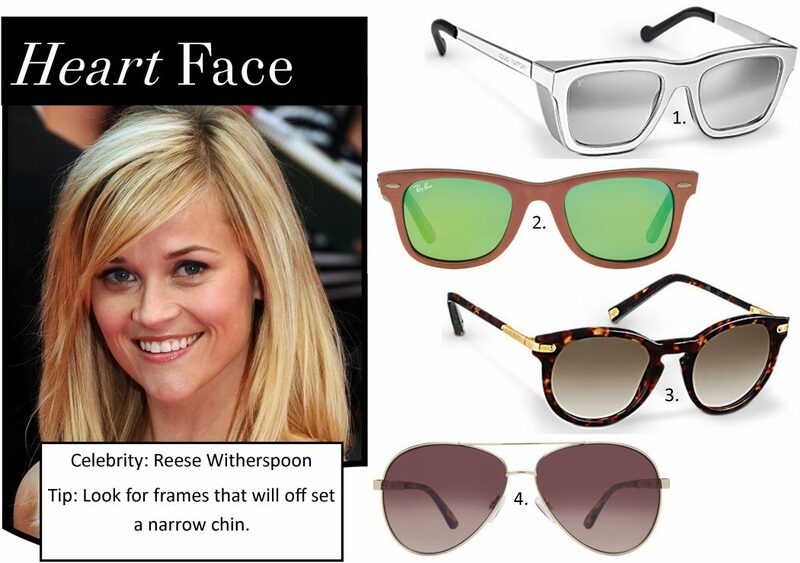 If you have a heart face shape, then you should try frames that are slightly wider at the top such as cat-eyes or wayfarer sunglasses. 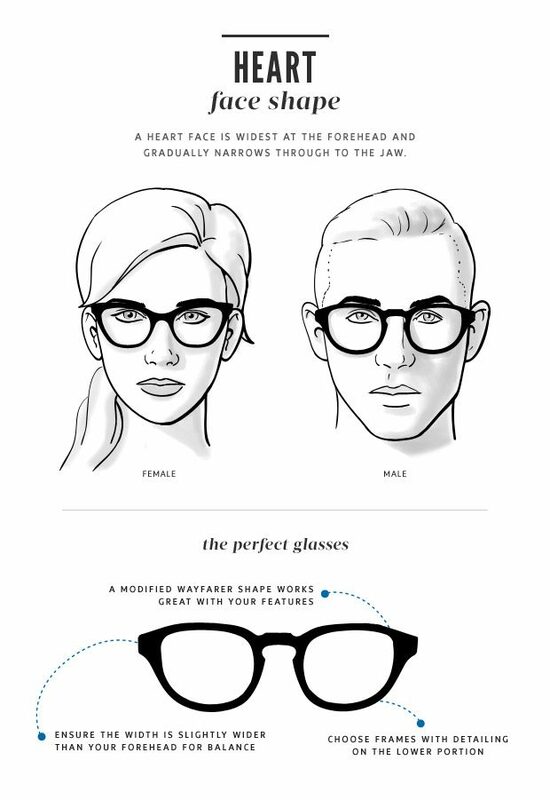 Also, sunglasses with round frames will be fine on your heart-shaped face. We also recommend you to stay away from over-sized frames because it will focus on how narrow your face is at the bottom. If you have an oval face shape, then you are extremely lucky. People with oval face have more choices than others. 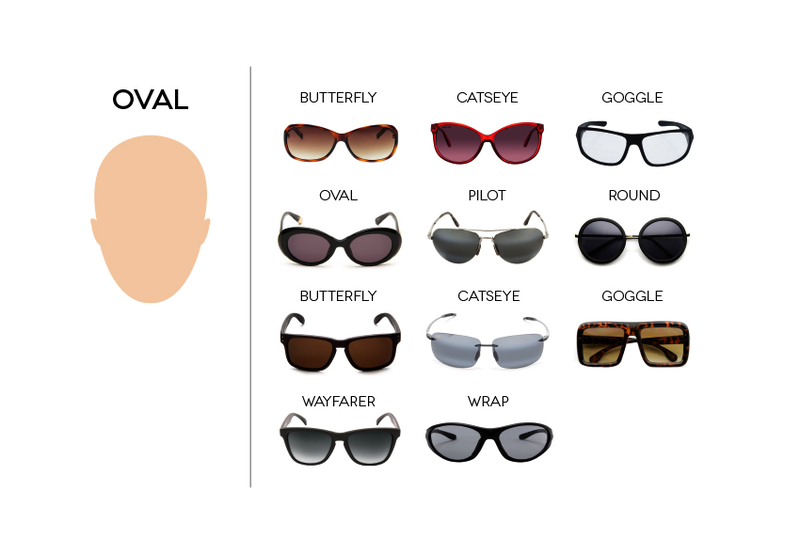 Almost all shapes of sunglasses look great on an oval face shape, especially the ones that have wider frames on the top because it makes your face looks wider. Moreover, if there is one shape that you shouldn’t wear, recommend to avoid round sunglasses because it will make your face look thinner. 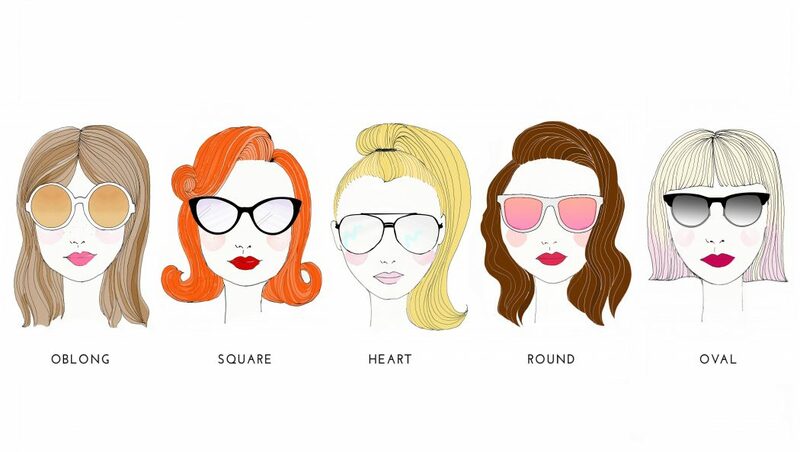 If you have a round face shape, then rectangular frame styles are definitely for you. They will flatter your face, making it appear slimmer and longer. 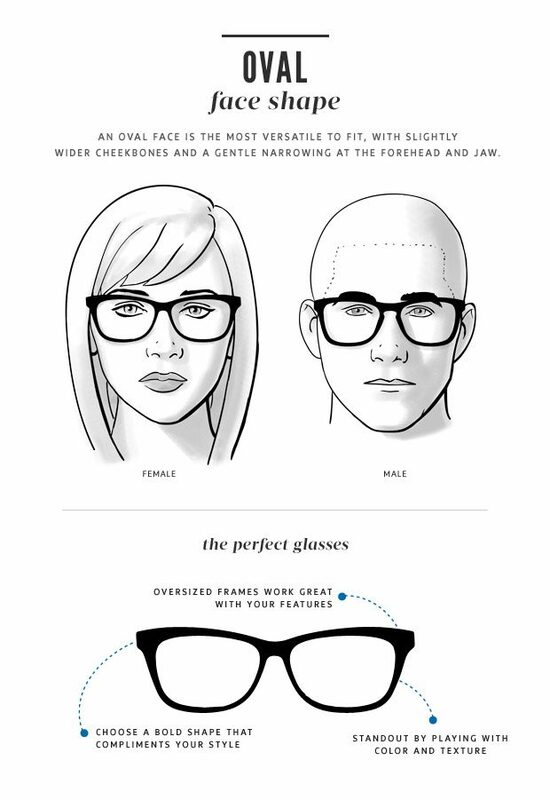 Choosing frames that are narrow and rectangular, will pull the eye upward, giving the illusion of a longer face rather than just a round one, and a more defined shape overall and that is exactly what you want. 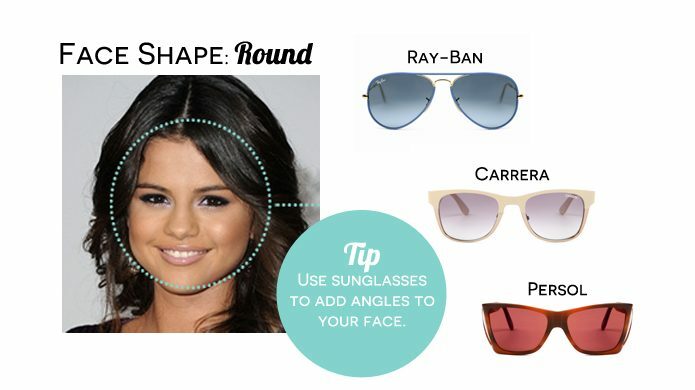 If you have a round face shape then avoid small, round, or over-sized frames because it will make your face look rounder.